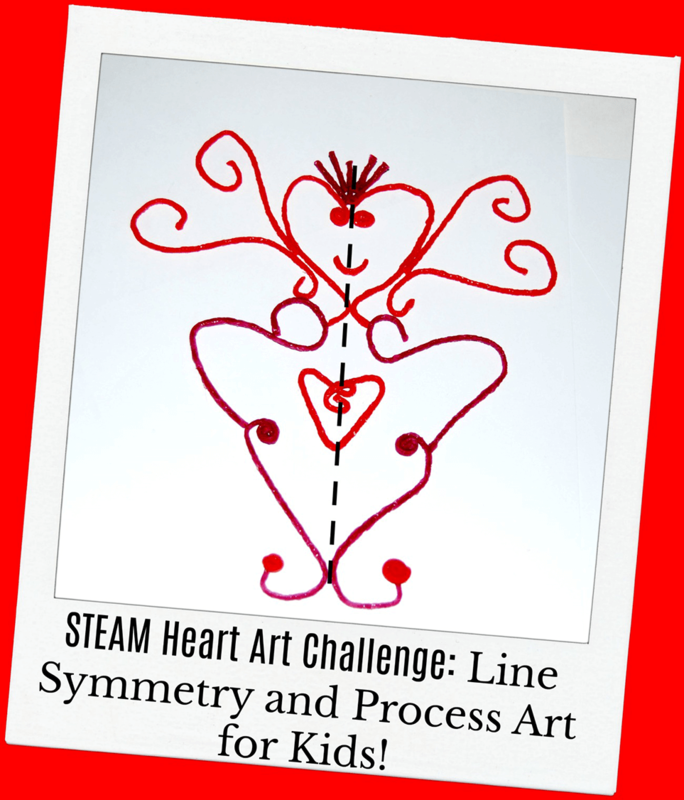 Heart Art is a fun and creative process art STEAM challenge to inspire kids to critical thinking while learning about the line of symmetry. Wikki Stix is a wonderful tool for creating art while allowing kids opportunities to experiment with various heart-shaped designs. Challenge your own kids to a STEAM heart art activity this Valentine’s Day (or any day). Kids of all abilities can participate in creating with Wikki Stix. STEAM challenges are fun for kids in the classroom or at home. STEAM activities ask kids to solve a unique problem using skills from science, technology, engineering, art, and math. Process art opens the STEAM experience to kids of all ages and abilities by focusing on the process of designing and creating, rather than a specific finished product. Introduce your kids to the line of symmetry, the inquiry for the challenge, and then allow kids the freedom to brainstorm, design, and discover Wikki Stix heart-shaped process art on their own. Heart Art STEAM Challenge Inquiry: kids are asked to design a person/creature with a line of symmetry using Wikki Stix-created hearts, paper, and scissors. Prior to the challenge: help your kids discover a little about reflection symmetry. Ask kids to fold their paper in half and crease the fold. In designing their heart art people or creatures with Wikki Stix, each of the designs must be the same on both sides of the paper. Reflection symmetry occurs when one side mirrors the other. Kids may wish to brainstorm ideas as a group (or individually) for their heart art creations before designing them with Wikki Stix. 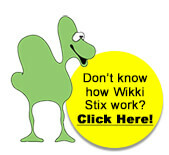 Wikki Stix is tacky and will adhere to paper without the need for glue or tape. If kids wish to change their designs, Wikki Stix is easy to lift from the paper for re-designs and changes to original ideas. Ask your kids to share their heart-shaped art designs. If kids changed their initial heart art designs, ask them what inspired them to change or improve their designs. With process art STEAM challenges, kids have the freedom and space to imagine art, but they also learn about the process it takes to design and create art. Be sure your kids take photos of their designs (even during the creative process). It’s fun to look back and see changes made by looking through photos of the process. The STEAM Challenge Heart Art creations can be made into a print or digital class book for teachers choosing to use the activity in the classroom. Kids or siblings who homeschool might choose to create a slideshow featuring the various heart-shaped designs with Wikki Stix.